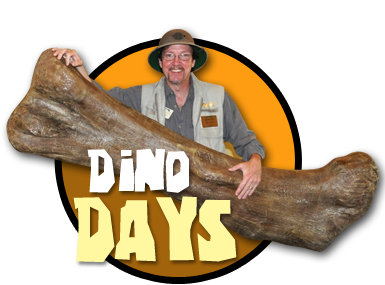 Please note: the Prehistoric Path is currently closed due to set up for the upcoming Dinosaurs Come to Life exhibit. We apologize for any inconvenience, but please keep in mind that admission rates remain at the reduced, off-season rate due to this closure. Thank you for your understanding. 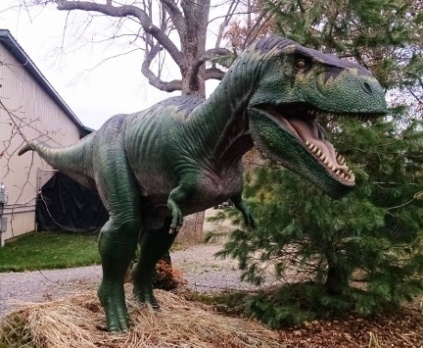 Travel back in time on the Prehistoric Path! 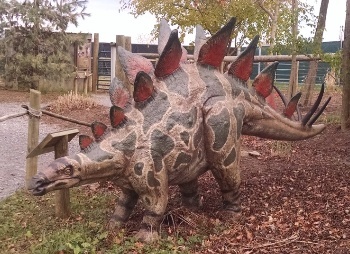 Unfortunately Dinosaurs Come to Life is closed for the season, but you can still see dinosaurs on Reptiland’s Prehistoric Path open November through April! 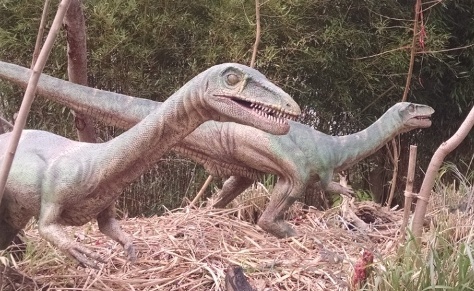 This trail includes six static dinosaur models including Stegosaurus, Brachiosaurus, a Parasaurolophus photo op, Tyrannosaurus rex, and two Coelophysis. The path also includes educational graphics.